Teapot Mountain (無耳茶壺山) is a popular trail on the North East Coast of the country that has some of the best landscapes available for a day-hike in northern Taiwan - The hike is neither long nor difficult which means it is accessible to hikers of all skill levels with the reward of exceptionally beautiful scenery which your spark an interest in taking up hiking as a hobby! 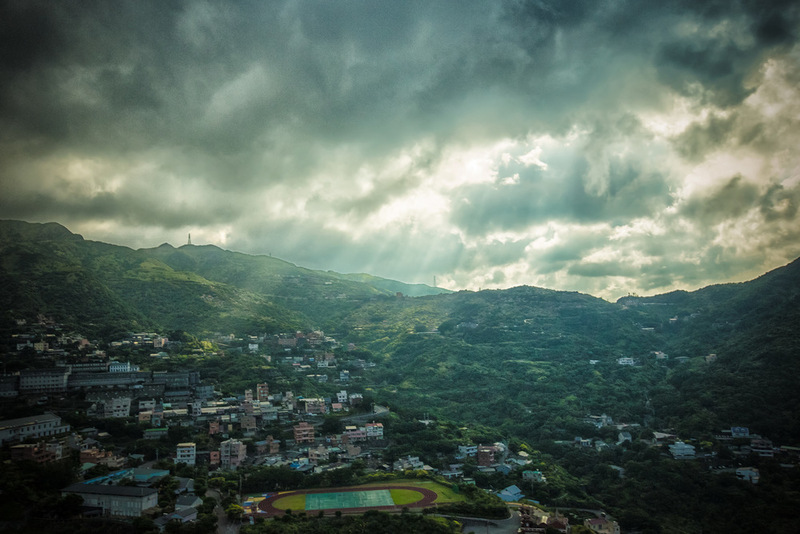 The hike is near Jinguashi (金瓜石) and the popular tourist street in Jiufen (九份老街) which is not very far out of Taipei city. The difficulty of the hike depends on your method of transportation - If you are riding a scooter or driving a car, you can be lazy and pretty much drive all the way up, shaving an hour or so of walking up stairs. If you are relying on public transportation however you need to start with a walk through Jinguashi's Gold Ecological Museum (黃金博物館) and follow the markers that indicate where the mountain trail starts. Once you've arrived at the trailhead it isn't a very long hike up to the "Teapot" and most people have no trouble arriving in less than 30 minutes. 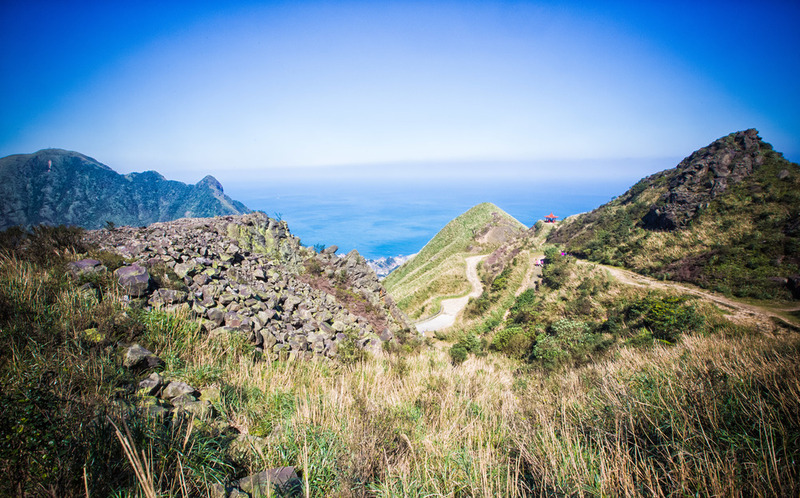 The trail consists of a set of well-constructed stairs that lead you up to the peak of the mountain and then from there, further on to Banping Mountain (半屏山) if you're doing the full hike. 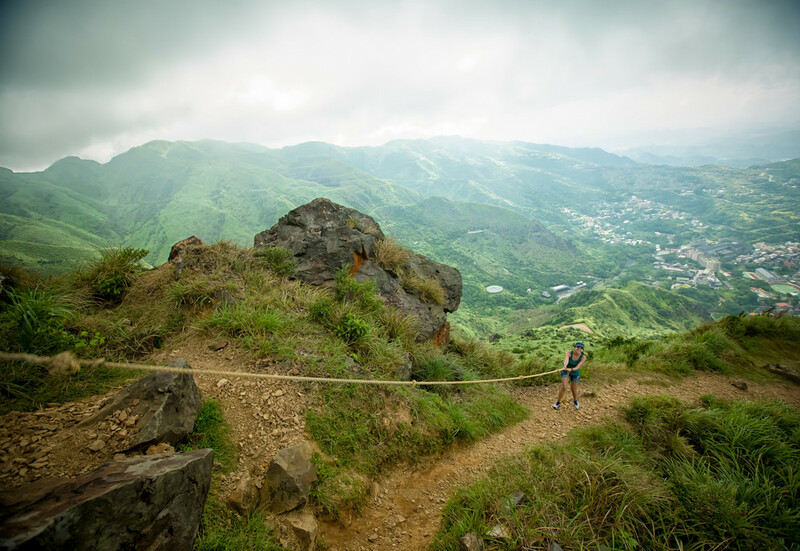 The hike isn't a steep one and there is a very gradual incline making it easy for anyone to complete. After a short time of hiking and enjoying the amazing scenery, you'll arrive at a rest stop that overlooks a beautiful cliff on one side and the teapot on the other. For some people, the rest stop acts as the "peak" of the mountain as they can see the scenery on the North Coast and they are close-enough to the teapot to say that they were there. 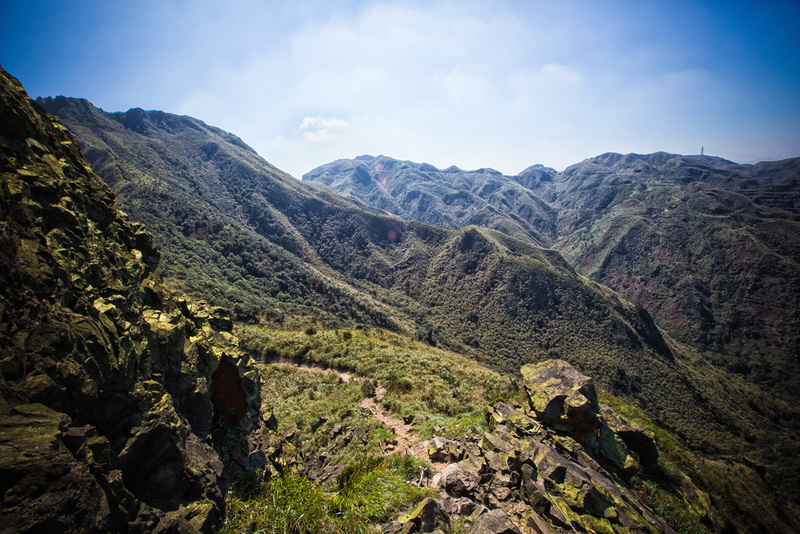 If you've lived in Taiwan long enough, you might have noticed that Taiwanese people are really gifted at looking at rocks and seeing images in them. In most cases I shake my head and say "Umm okay", but in the case of the "Teapot", it actually does look like one! The mountain is called "無耳茶壺山" which translates as "Earless Teapot Mountain" and refers to the fact that the tip of the mountain looks like a teapot, without an "ear" or a handle. 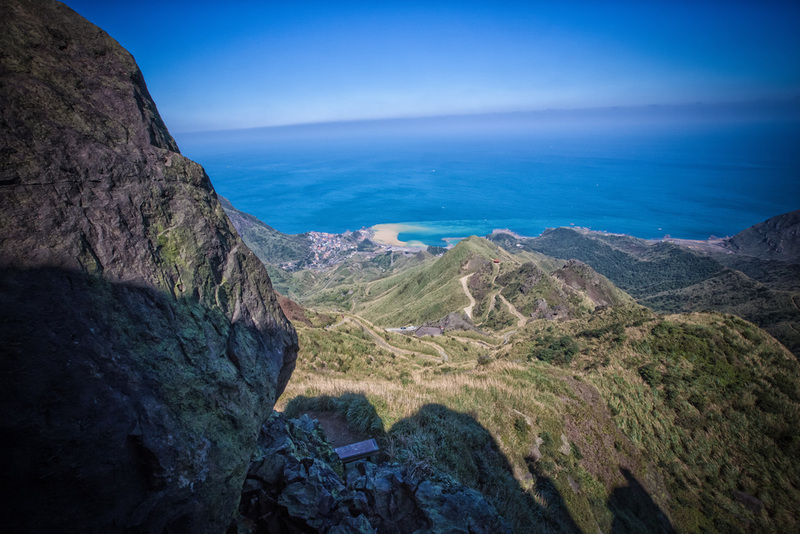 The teapot is accessible by an easy system of ropes and if you are careful, you can climb inside it and make your way to the top to get even better views of the amazing landscape of the North East Coast (東北角.) Experienced hikers will find this part of the hike extremely easy, but I can understand how for some people it can be a bit scary - I highly recommend trying though as you've already made it that far. From the top of the Teapot you will have some pretty spectacular views of Jiufen, Jinguashi, Jilong Mountain (雞籠山), the Yin Yang Sea (陰陽海) and the North East Coast. If you are visiting on a sunny and clear day you'll be able to see as far as Keelung and you might even be able to see Taipei 101 sneaking it's head up over some of the other mountains. 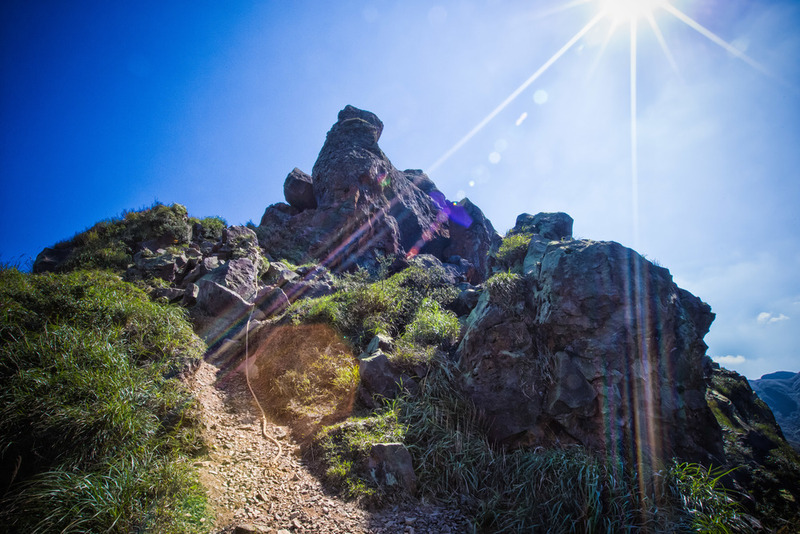 If you're planning on doing this hike, make sure you choose a day that will have excellent weather as the hike rewards you with stunning landscapes. The area is actually known for its rain, so make sure to pay attention to the weather forecast before making your way to the mountain. As I mention earlier, this hike is part of a much longer hike and if you are hiking past Teapot Mountain onto the Banping Mountain (半屏山) trail you should be warned that the hike past Teapot mountain is much more difficult and shouldn't be taken lightly - especially if the weather isn't very good. That being said, if your plan is to do the entire hike (something I can say I haven't done yet) then you should be prepared for a full day-hike rather than just an easy day-hike. If you are planning a trip to the area and you are relying on public transportation, your options might be limited, but if you have access to your own method of transportation you may want to consider some of the other tourist attractions which include the Golden Waterfall (黃金瀑布), Jiufen Old Street, the Yin Yang Sea, etc. 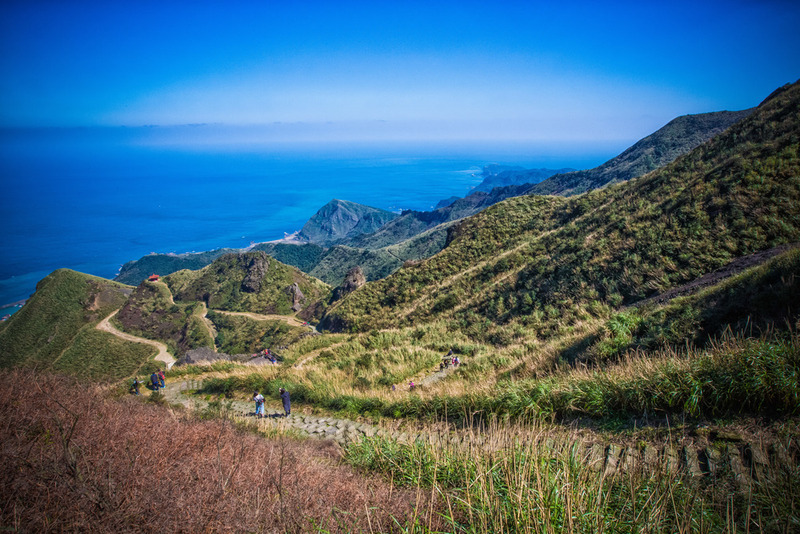 There is a wealth of things to do in the area, so if you are only doing the Teapot Mountain hike you can be sure to finish the hike with a nice cup of tea in Jiufen overlooking the beautiful ocean below. 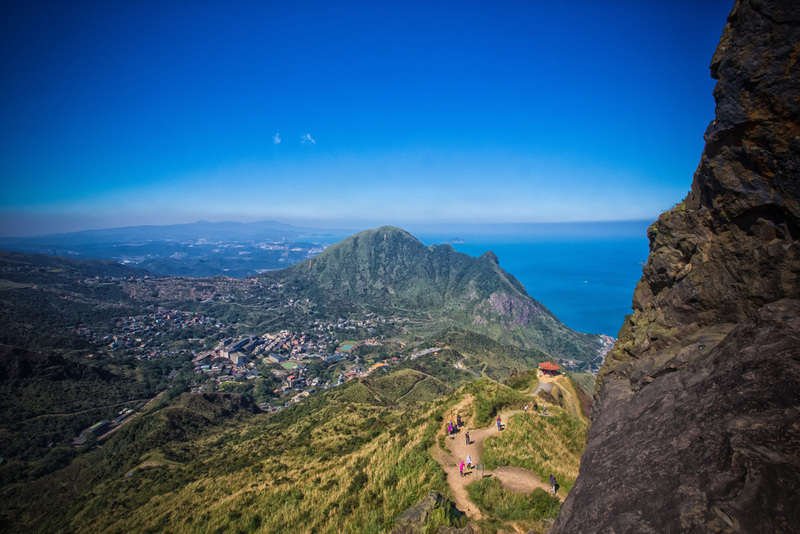 If you are visiting Taiwan from abroad and want to experience the natural beauty of this island, it's highly recommended that you plan both a trip to this mountain and finish it off with a visit to Jiufen. 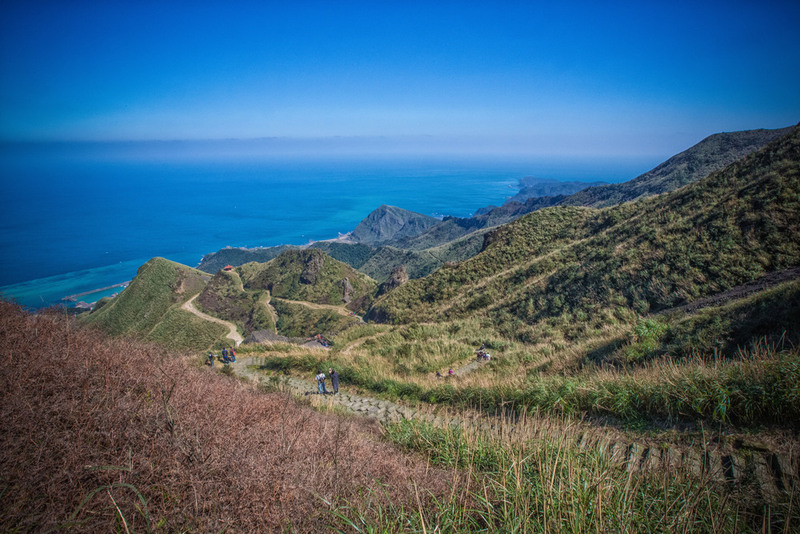 If you are unsure that you're able to get to the mountain on your own, the guys at Taiwan Adventures are available for guided tours and will plan all the logistics for you. All in all the hike is an easy one and the reward outweighs the amount of time it takes you to get there. Coupled with the fact that you are easily able to include other activities in the area making it a full-day tourist excursion from the city makes it even better. 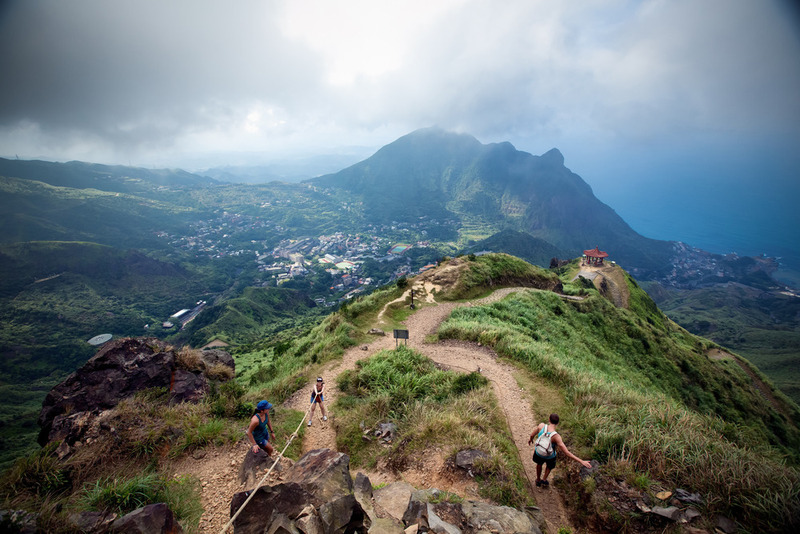 I know it's not a popular guidebook destination, but any visit to Jiufen should include a hike to Teapot Mountain!